Orphaned Land have been at the forefront of heavy music with a meaning ever since their inception in 1992. The Israeli band recently released their sixth full length - Unsung Prophets & Dead Messiahs - which is a record full of hope and protest. 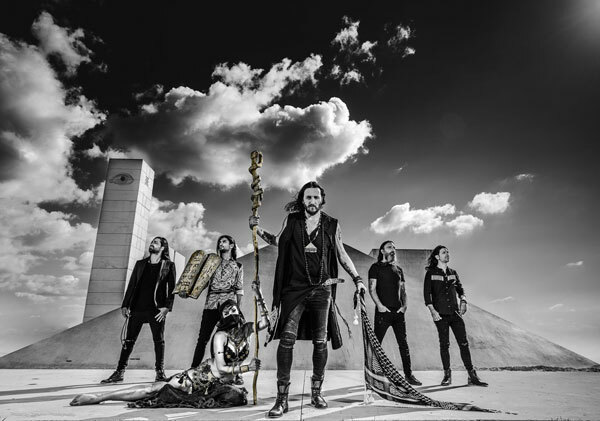 Orphaned Land have always had a message and bassist Uri Zelcha has given us some insight as to what that message is, what it means to the band, and what we can expect from them going forward. Scene Point Blank: For those not familiar with Orphaned Land is it possible that you can you talk about why you formed the band and what your mission is? Uri Zelcha: When me and Kobi (Farhi - vocals) started the band we were kids who just wanted to bang our heads and go crazy. Since the beginning we had those Oriental motives probably because of all the music we heard at home. After our break (the band took a hiatus from 1997-2001 due to tensions at home), Kobi got an email from one of our Muslim fans who are supposed to be our "enemy." In that mail he added a photo of an Orphaned Land logo tattoo so from that moment we knew that this band should continue. Today we speak about the situation in our area. 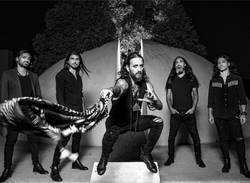 Scene Point Blank: Orphaned Land have had a long and interesting career. Do you find that your motivations have changed over the course of the last 26 years or are you still clear on what you want to achieve with the band? Uri Zelcha: I guess the idea stayed the same but we got a little less optimistic and more angry, although our motivation was always trying to unite people through our music. This world is getting so hard to live in and today music is the only tool to reach people's heart, well ... music and food! Uri Zelcha: Living in that region gives you lots of inspiration because of all the problems it has, but Israel is a free minded country—maybe the only one in the Middle East—so it has never limited us. The first albums were recorded in Israel and it was great but for now—I guess to go on a higher level—it was obvious that we had to record outside and who better to do that job other than Jens (Bogren - mixing, mastering)? Scene Point Blank: Unsung Prophets is an extremely timely record and touches on more than political themes. Can you talk about the other inspirations you had for this record and how that ties in with that Orphaned Land set out to achieve with this album? Uri Zelcha: Most of our albums are dealing with religious conflicts but on this one it is different. The main inspiration is the cave allegory of Plato. The cave was written because the Greeks killed Socrates, but you can see it happening through history over and over again with Che Guevara, Izhak Rabin, Gandhi and, to go even further, with Jesus. Scene Point Blank: The album has an extremely huge sound and incorporates many Middle Eastern influences in the style. How important is it for you to include those? For example “We Do Not Resist” has a very Middle Eastern flavour. Uri Zelcha: This is what Orphaned Land is all about. This is our folk and it's important for us to show it to the world. It's also comes naturally when we write the music because this is what our parents were listening to at home when we were kids. I remember, as a kid, when I started listening to heavy music. I heard Artillery's album By Inheritance and was so amazed by these oriental riffs they had. It's in our blood. "This is our folk and it's important for us to show it to the world." Scene Point Blank: You had Tomas Lindberg, Hansi Kürsch and Steve Hackett guest on the album. How did those collaborations come about and what did you learn from them, and them from you? Uri Zelcha: As kids our main inspiration was At The Gates so having Tomas Lindberg as a guest on our new album is like a closure for us. We always thought that his growls are so different and full of emotion. After touring with Blind Guardian we became really good friends with these guys which are so humble and nice. When we wrote "Like Orpheus" it was so obvious that Hansi will fit to it like a glove because his voice is like the voice of an angel—so in a way Hansi is Orpheus! With Steve Hackett it is a different story. He contacted Kobi and asked him to sing on his new album so this is how the connection has been made. There is no way to describe the honour in having such an amazing and known legend in our song. Scene Point Blank: What hopes do you have for the future? Both personally and for the band? Uri Zelcha: We hope to reach with our music as many people as possible. We hope that maybe our message of peace and unity will somehow make a difference even if it's a small number of people. We know that we can't make a big difference but we've got to start with something. For me? I guess that I wish to be able to keep doing it for a long time. 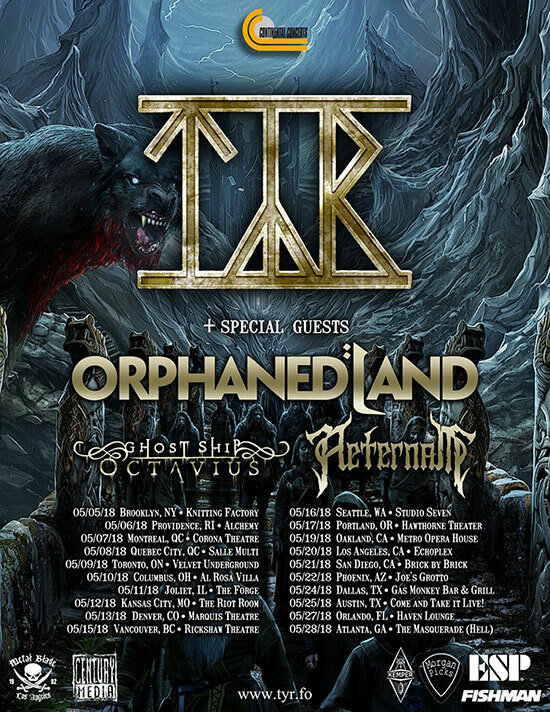 Orphaned Land are currently on tour with Tyr in the United States of America. Dates are below. Words by Cheryl on May 8, 2018, 3:49 p.m.
Posted by Cheryl on May 8, 2018, 3:49 p.m.